In an unfortunate incident which took place on 19th May 2018 in Washington State, a cougar killed a cyclist while injuring another cyclist. On Saturday i.e. 19th May 2018, two men were cycling on a trail near the North Bend, a foothills town which is about 30 miles from Seattle. Just after 11 AM, both realized that they were being followed by a cougar. According to authorities, both men followed the guidelines as instructed – getting of their cycles, making a loud noise and try to scare the wild cat. The cougar before running away try to charge one of the cyclists who smacked it with his bike. While this made the cougar ran off at that time, however, it returned and attacked one of the cyclists when they were getting back on their bikes. During this time, when the cougar was attacking the first victim, the other biker got off from his bike and ran away. This caught the cougar’s eye who then left the first victim and ran towards the other biker. This allowed the first victim ran away on his bike and as soon as he saw back, the cougar was dragging his friend into the woods, according to Abbott. As the survived victim’s cellular network was not reachable, he rode around two miles before being able to call 911 for help. The victim was attended by the first responders from fire and sheriff’s departments as he was injured from deep cuts all over his body. The authorities found the other victim’s bike 2.5 miles away lying in the middle of a trail. When the team got further into the woods, they found the victim’s body in cougar’s den, while the animal was still on top of him. 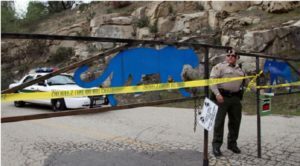 One of the deputies tried to shot the cougar but missed, however, the sound of the gunshot was enough to scare the animal away from victim’s body, said Abbott. Abbott said that the Washington Department of Fish and Wildlife track the cougar using hounds and was found behind a tree just 80 feet away. The area is known for cougar sightings, however, the attack came as a shock to everyone. Medical examiners will examine the brain of the animal to determine in case the animal was sick or whether there was something else wrong with it, added Abbott.